engage in intergenerational mission opportunities such as the CROP Walk, Family Volunteer Days at the Food Bank of Western Massachusetts, excursions to Overlook Farm in Rutland, MA and a Valley Blue Sox game. Make Room: A Child’s Guide to Lent and Easter by Laura Alary and Ann Boyajian. Invites and teaches children to experience Lent with all their senses. The Easter Story Retold & illustrated by Carol Heyer. Faithfully retold and beautifully illustrated with an emphasis on hands. Easter by Gail Gibbons. 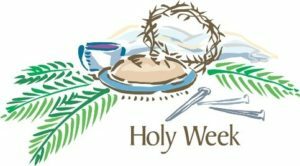 Tells of Jesus’ birth through the events of Holy Week. Final pages focus on the traditions of Easter. Jesus Lives! The Story of Jesus for Children by Ron and Lyn Klug, illustrated by Paul Konsterlie. This book continues through Easter to Jesus’ ascension. The Thornbush by Michael Laughlin, illustrated by Richard Stergulz. A wonderful tale of how “a lowly thornbush become the only earthly crown ever worn by Jesus, the King of Kings. Peter’s First Easter by Walter Wangerin, Jr, illustrated by Timothy Ladwig. The author shows us the wonder of God’s forgiveness through Peter’s earthly relationship with Jesus. (Not recommended for very young children). Jesus, the Word by Mark Francisco Bozzuti-Jones, illustrated by Shelly Hehenberger. Written by an Episcopal priest, this book helps to explain Jesus as revealed in John 1:1.
https://www.youtube.com/watch?v=beWSVFNPw0s. Lent in 30 seconds with Legos! 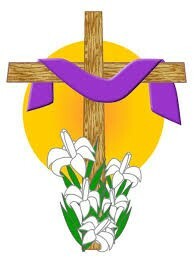 https://www.buildfaith.org/lenten-resources-for-children-and-families/ Lenten books and devotions for the season. https://www.buildfaith.org/creating-lenten-prayer-space-home/ Good ideas for creating a sacred prayer space during Lent. https://www.buildfaith.org/why-eggs-on-easter/ An interesting article about how eggs came to be a symbol for Easter. Did you know the story of Mary Magdalene and the Red Egg? https://www.buildfaith.org/easter-in-the-household/ Some good ideas for observing the fifty days in the season of Eastertide. https://www.buildfaith.org/the-great-fifty-days-of-easter/. Some more ideas for celebrating Eastertide. http://www.alastairmcintosh.com/general/1992-stations-cross-esquivel.pdf Stations of the Cross from Latin America 1492-1992 by Adolfo Perez Esquivel of Argentina who won the Nobel Peace Prize in 1980. The Last Week: What the Gospels Really Teach About Jesus’ Final Days in Jerusalem by Marcus J. Borg & John Dominic Crossan. The authors take us through the Gospel of Mark’s day by day accounts of the week leading up to Easter. Click here to learn more about the Seasons of the Church Year.